There are links to all of our friends' pages and websites you can reach by simply clicking the pictures! Check them out! Also coming from Parsippany, we have known these guys longer than pretty much anybody else in the scene and they are definitely some of our best friends, even outside of music. We recommend that you check them out if you enjoy alternative punk bands such as My Chemical Romance or Brand New. Very cool guys! Their first EP, And So It Seems is available and they have also released their first full length album. So We Live | So We Die is the title and you can find more information on their website by clicking the picture above! These guys are some of the most genuine, and most fun people to hang with. They're from Clifton and if you enjoy energetic pop rock, give them a shot. They are very down to earth dudes. Previously under the name Check Your Morals, our friendship with them goes way back. They have yet to release anything to listen but they are playing out so try to catch them if you get the chance! They are one of the tightest and most fun bands to see on the scene!!! 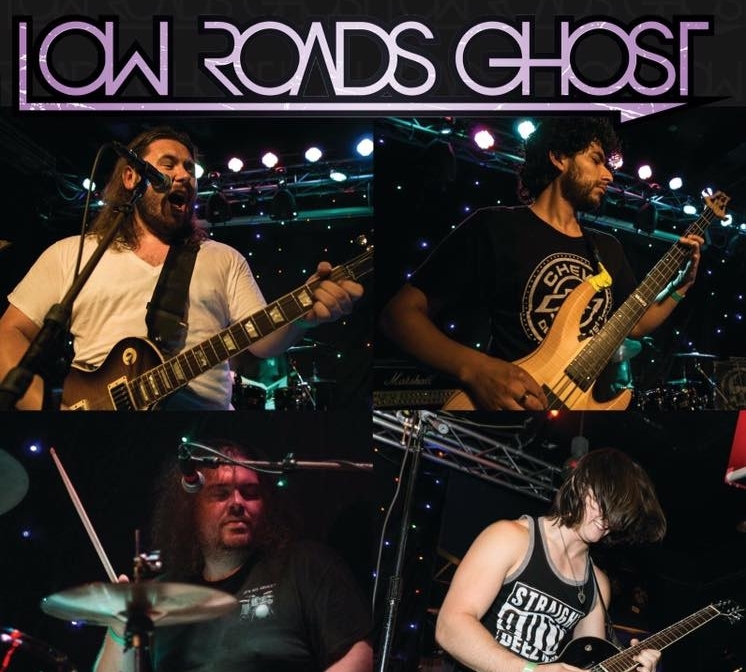 Low Roads Ghost is a killer bluesy rock band from Bergen County who absolutely kill it every time they play. With one EP out (Breathless), they're playing shows and working on more material. Definitely a band you want to catch when they play and stay tuned for more releases from them. Check em out if you're into feelsy, blues rock! These bros are also out of Bergen County and are probably the best local band to play straight up rock n' roll we've seen. Their tunes are heavy and well thought out, while having a radio / mainstream appeal to them that gets your toes tapping and head bobbing! They have a full album out which is self-titled and a recently released EP titled Something in the Water. You should invest time into listening to them or catching one of their shows as soon as you can. Rock n' roll at it's finest. First played with these guys at 10th Street Live a while ago, and they remain one of our favorite bands to play with (and listen to). If you dig an indie rock sound, they can feed your craving! Very chill people, who are also insanely talented. They have three albums, Strangers We'll Become, Passengers, and Giant, which are all available now! Despite being an acoustic artist, he has strong punk influences. If you need a song fueled by genuine emotion, he's your man. Some great catchy/singalong tunes that anyone can enjoy. Hope to tour again with him someday! #FreshFromTheGarden. He has two EPs currently available, Alive and On My Own. Check them out now! The biggest supporter that the band has had through the years, has been Michael's grandmother. She makes it out to every show and to her credit, she has only missed two. Supporting not only ELI, but also the whole local music scene whenever she can. You can expect to see her at every ELI show, and many other local shows as well.